Over the next 6 months, we will offer a series of ceremonies designed to strengthen our wombs and deepen our ability to draw upon other women as resources for creating the world we desire to live in. Together, we will explore the nuances of how we create separation from each other and renew our commitment to honor the sisterhood. Each ceremony will focus on a different aspect of ourselves: emotional, mental, physical, spiritual and sexual. What wounds do we carry from past friendships, and how can we heal them? In what ways do let our fears keep us from connecting with other women? How do grudges and resentment seep in to our friendships? How do we compare ourselves to other women? In what ways do we compete against women? How are we judgmental of other women? Where does gossip increase our alienation? Where have we crossed women and it is time to ask for forgiveness? How can I be a better listener with women in my life? What kind of relationship do I desire with the women in my life? What can I create with the women in my life that will feed my soul? I hope you will join us for some quality interaction with good women, as we learn, grow and heal together. Come to one or to all of the ceremonies! Please share this information with your friends. 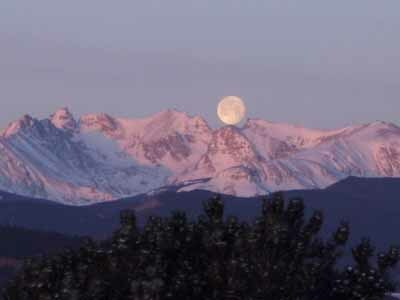 Moon over the Mountains Sisterhood is a women’s gathering circle facilitated by Elizabeth Mayne, and is associated with Rattlesnake Mystery Lodge. It is created for women to do ceremony together, gain feminine reflection, and become stronger women... so that we can birth a better world for the next 7 generations. If you are a woman and would like to hold space for the Brotherhood gatherings, please contact us.